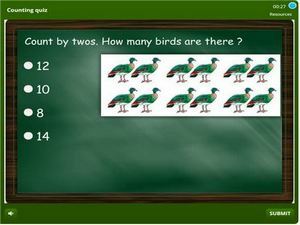 This is a counting and numbers quiz for 1st grade students to use for practice online. Featuring in this online test are activities on counting to 10, counting to 20, counting up to 100, counting and finding missing numbers, Roman numerals ordinal numbers, even and odd numbers and more. This quiz is tied to a tracking system and kids have the possibility of taking the test multiple times until they master all the needed skills. 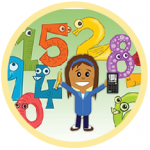 Improve your skills on numbers by taking this first grade quiz.